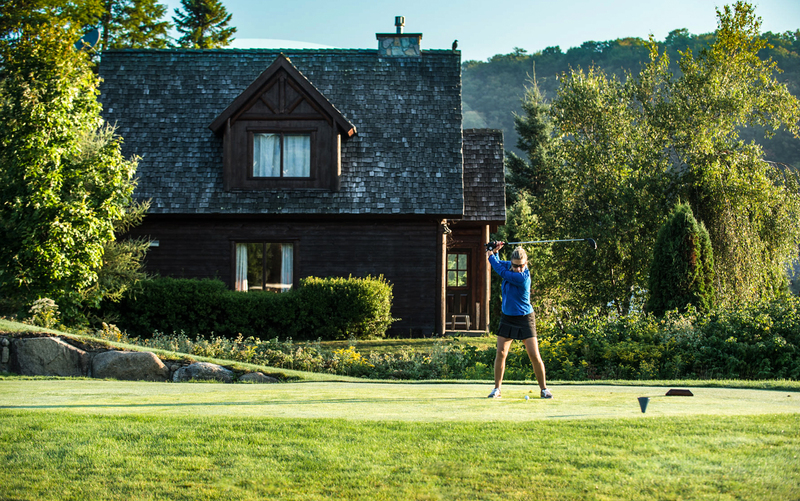 Nestled directly on the golf course with an beautiful view of the lake, Chalets Royal Laurentien offers amazing stays all year-round. 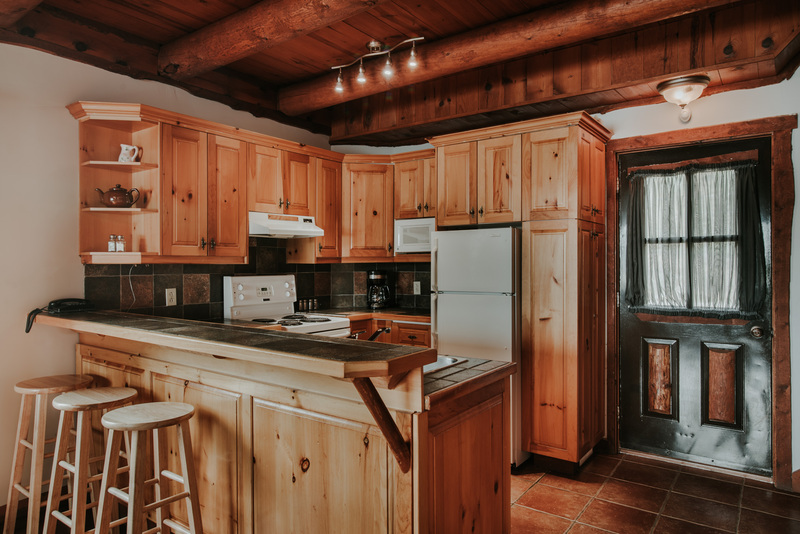 Beautifully furnished, with cedar shingles, stone fireplace, pine furniture, abundant wood trims and first-rate building materials, these cottages leave no one indifferent! 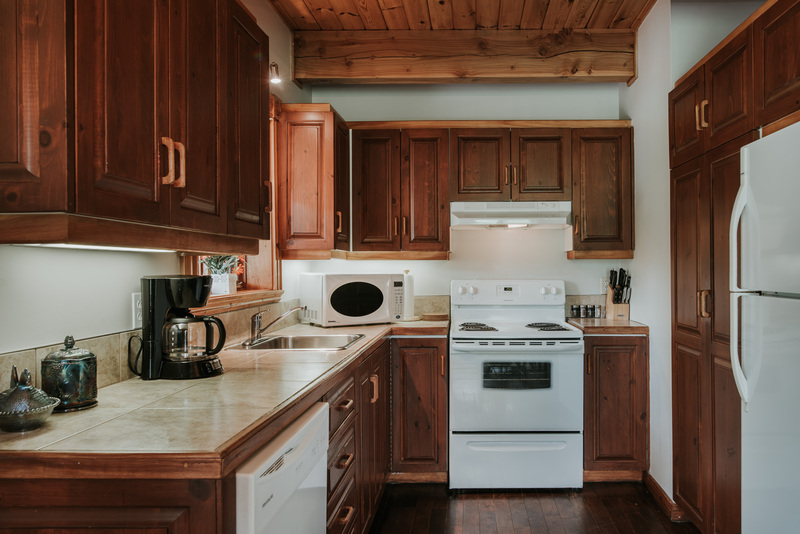 Enjoy a family vacation or a group retreat in one of the 23 Royal Laurentien 1 to 6 bedroom cottages that feature a fully equipped kitchen, fireplace, satellite television, double therapeutic bath, private barbecue, air conditioning and a view of the lake, golf course and some have their own private outdoor spa. 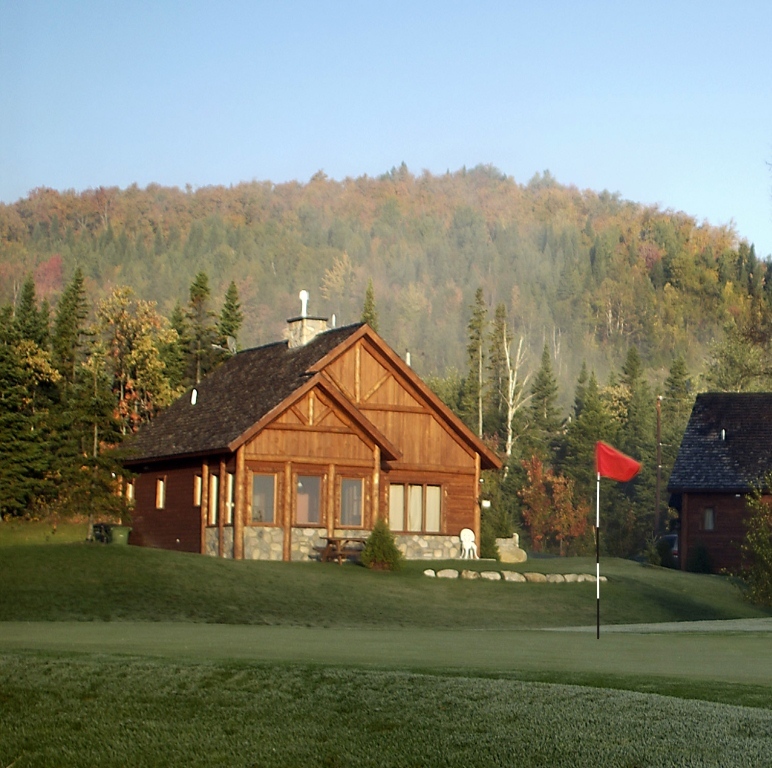 Royal Laurentien offers you in a luxury chalet during your vacation in the Laurentians! 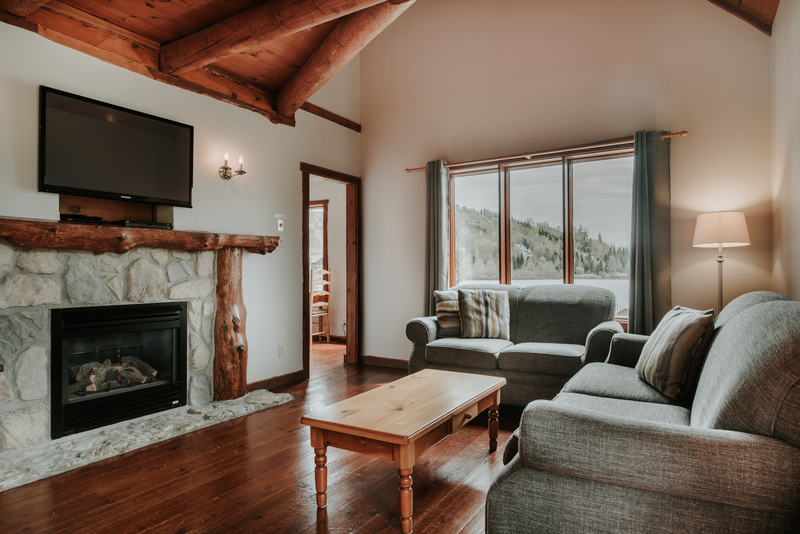 Fully-equipped kitchen, fireplace, sofa-bed, satellite television, double therapeutic bath, king bed or two singles, BBQ, air-conditioning, view of the lake or the golf course. Some of our chalets have their own private outdoor hot tub. Complimentary WIFI and local calls. 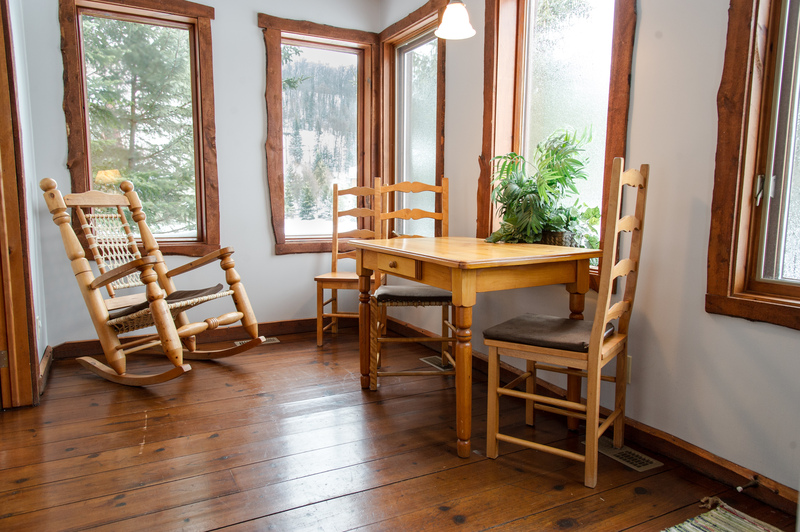 Royal Laurentien offers to accommodate you in a luxury chalet during your vacation! 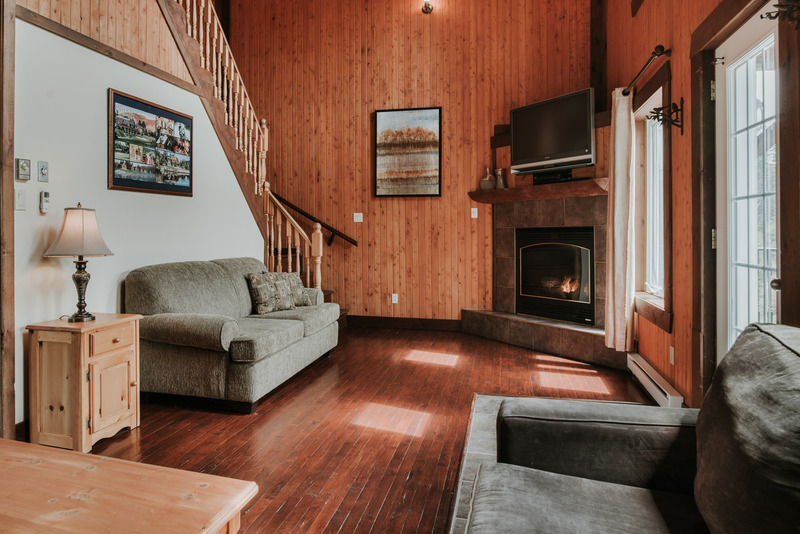 Fully-equipped kitchen, fireplace, sofa-bed, satellite television, double therapeutic bath, king bed, mezzanine with 2 double beds, second bathroom with corner shower, private BBQ, air-conditioning, view of the lake. Some of our chalets have their own private outdoor hot tub. 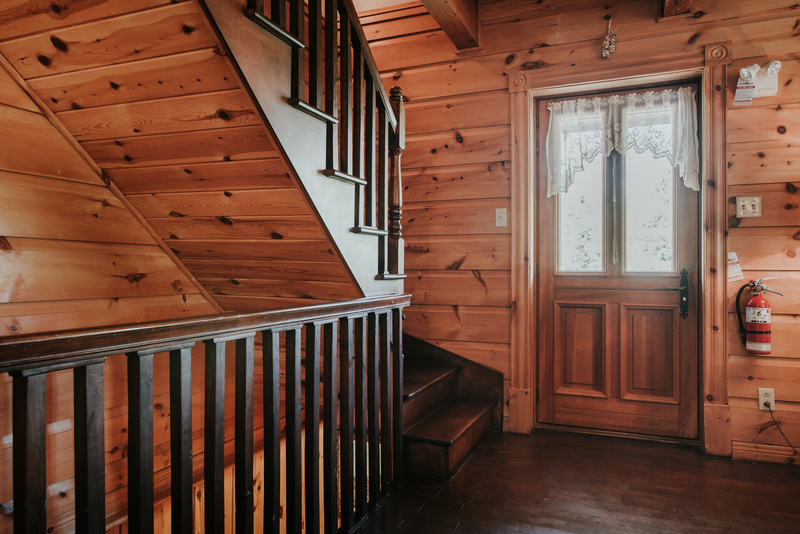 Complimentary WIFI and local calls. 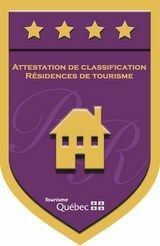 Royal Laurentian offers to accommodate you in a luxury chalet during your vacation in the Laurentians! 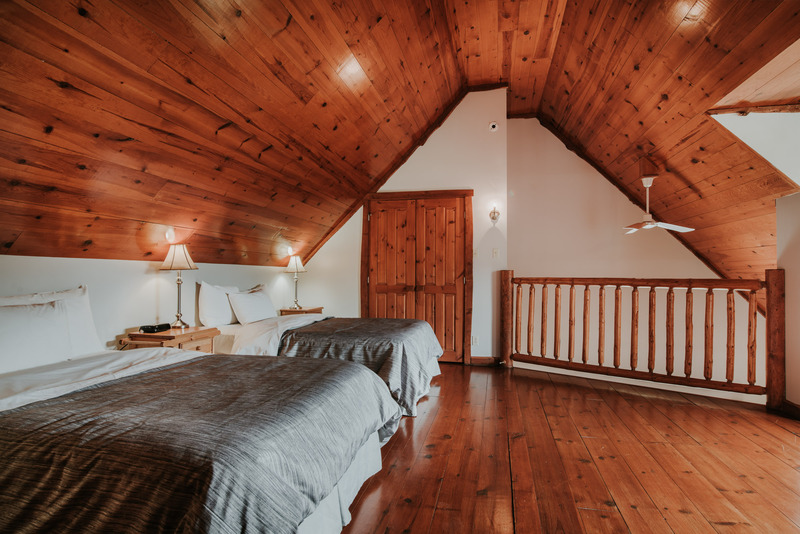 Fully-equipped kitchen, 3 full bathrooms, air-conditioning, fireplace, sofa-bed, television, 2 bedrooms with one king bed each and one bedroom with 2 queen beds. Outdoor hot tub, private deck, and BBQ. Complimentary WIFI and local calls. 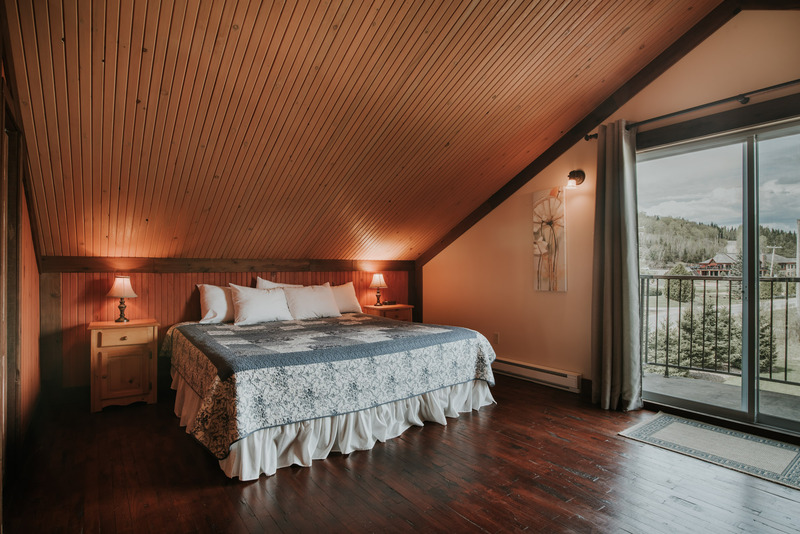 Royal Laurentien offers to accommodate you in its “Royal Executive” chalet during your vacation or business trip in the Laurentians! 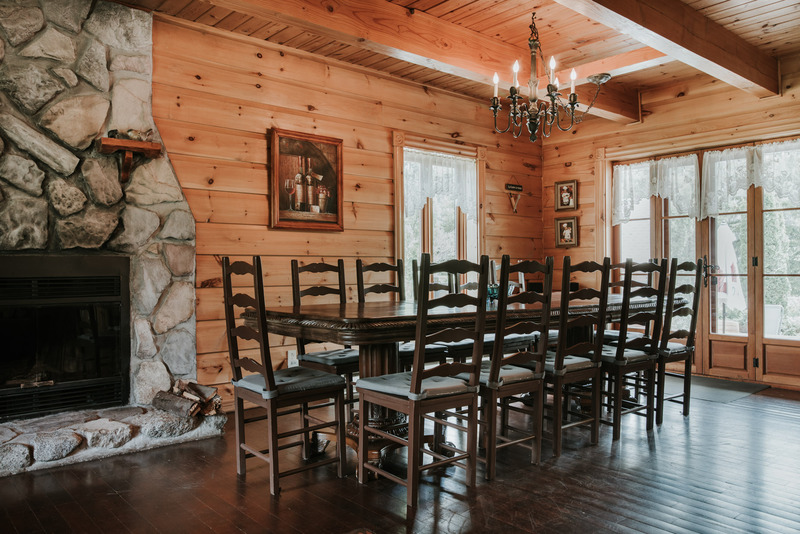 A perfect venue for an intimate wedding, corporate event or to spend time with the family in a luxury home. 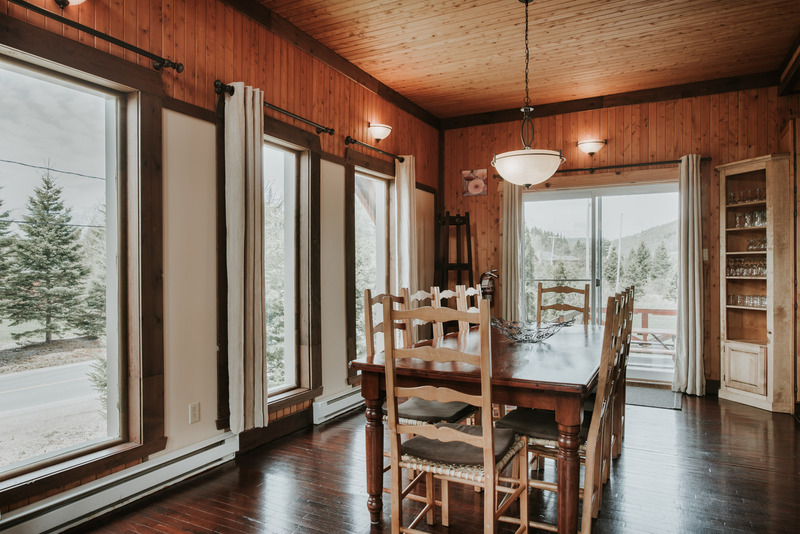 This executive chalet has • 4 bedrooms • a bachelor unit with 6 beds • 4 bathrooms • 5 fireplaces • a glass-roofed sunroom • a dining room • a games room • indoor pool and sauna • a conference room • an outdoor hot tub • a large deck • private BBQ and air-conditioning. 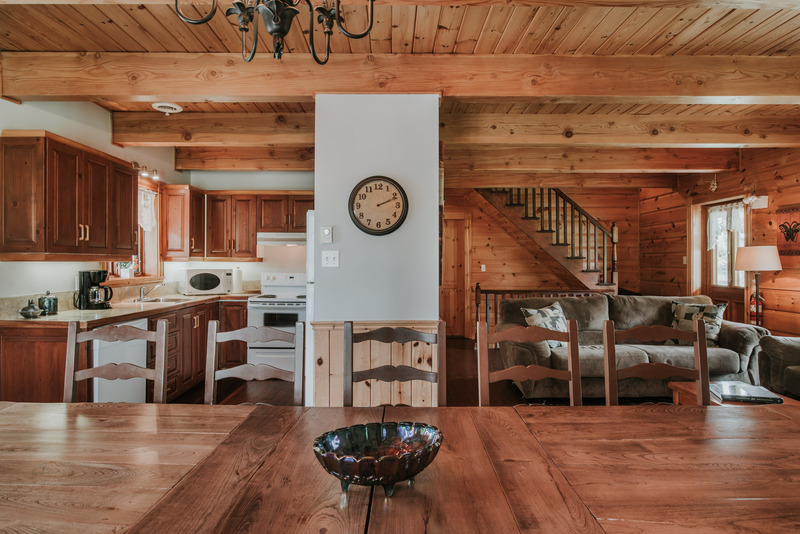 This chalet is private, on a 2-acre property at the summit of the mountain, boasting a spectacular view of the Laurentians. 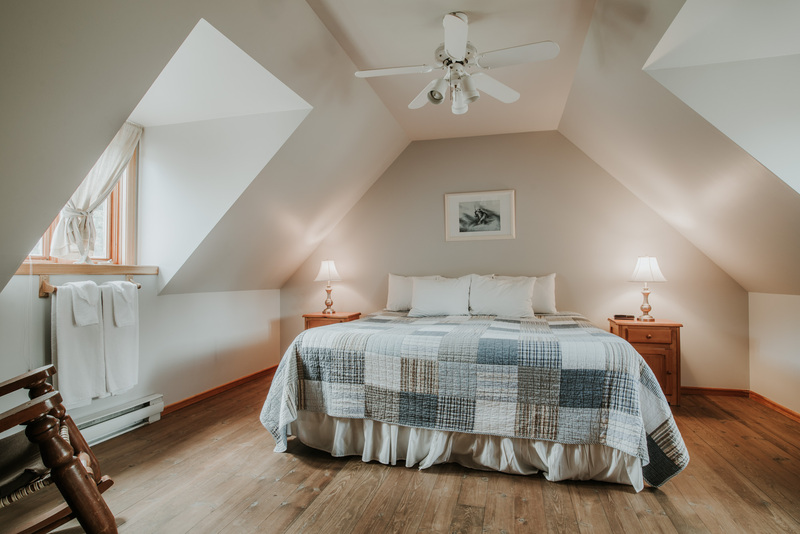 Complimentary WIFI and local calls. 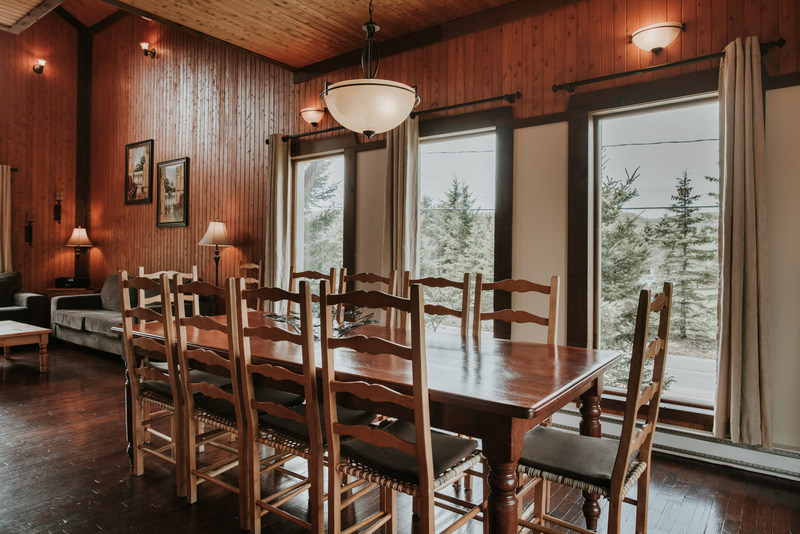 Royal Laurentien offers to accommodate you in a luxury chalet during your vacation in the Laurentians! 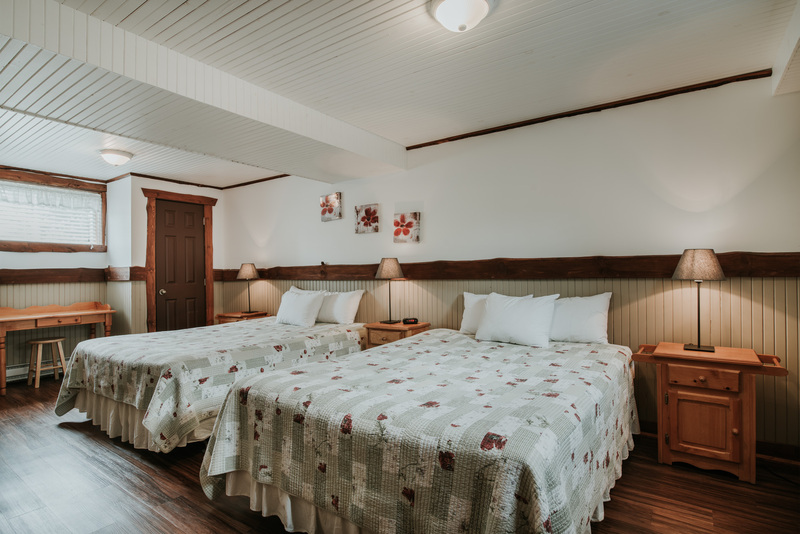 Fully-equipped kitchen, fireplace, sofa-bed, satellite television, double therapeutic bath, 2 bedrooms with a king bed (or two singles), 1 bedroom with a queen bed, and 2 bedrooms with a double bed each. 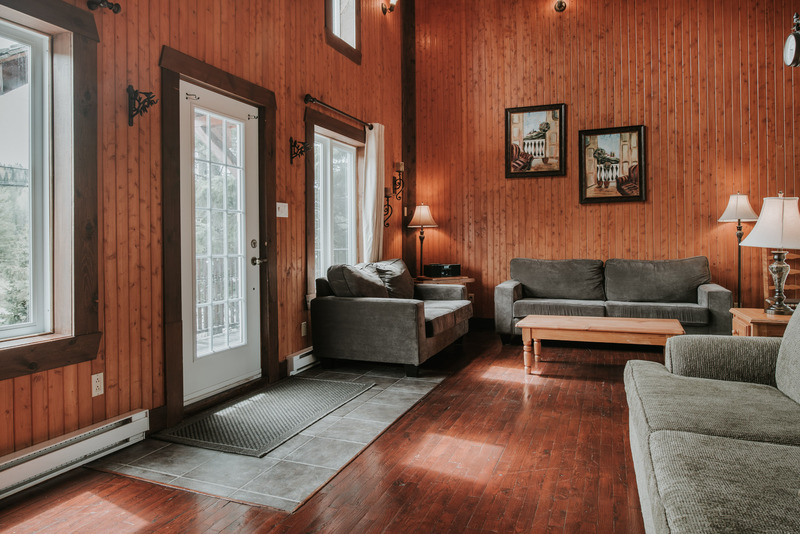 Also: 4 bathrooms, BBQ, air-conditioning. 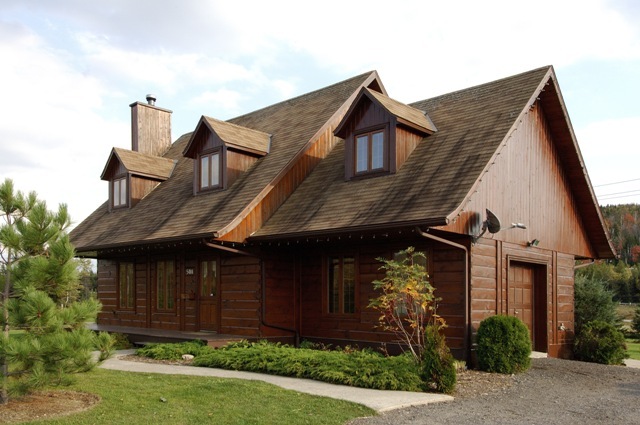 What makes this chalet really special is the private inground pool and large deck with patio set. Complimentary WIFI and local calls. 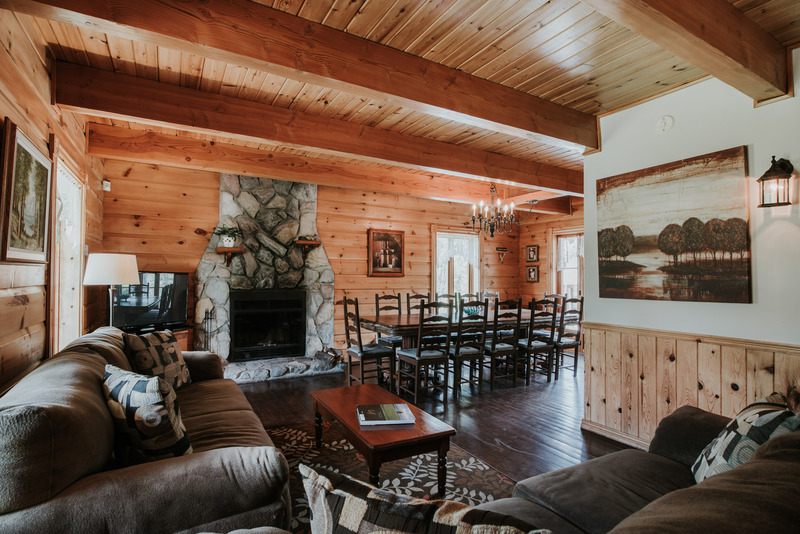 Our immense chalet, “La Québécoise,” will be your home away from home during your vacation in the Laurentians! 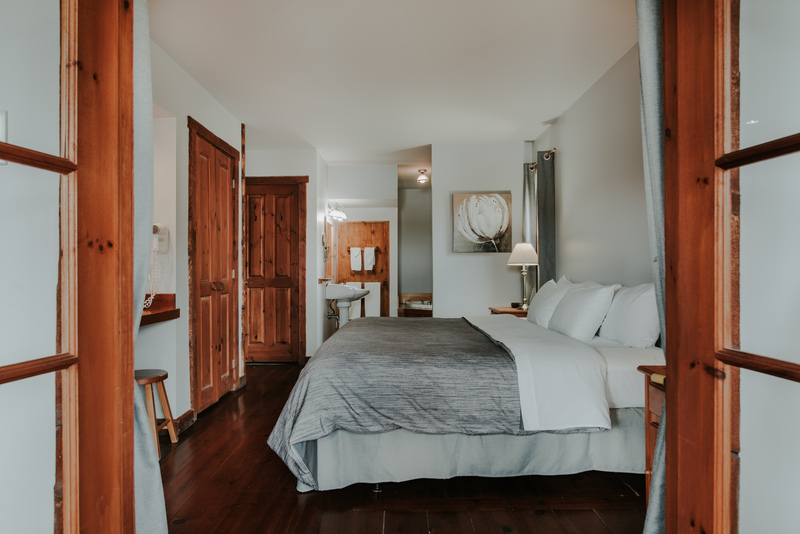 With these amenities, you’ll lack for nothing: 6 bedrooms with one king bed (or two singles), 5 full bathrooms, fireplace, pool table, fully-equipped kitchen, air-conditioning, private deck with outdoor hot tub for 8 persons and breathtaking view. 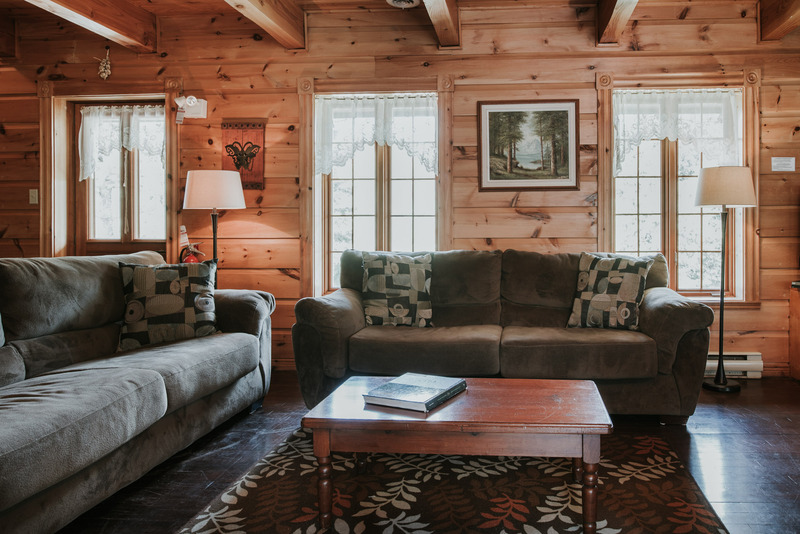 Complimentary WIFI and local calls.